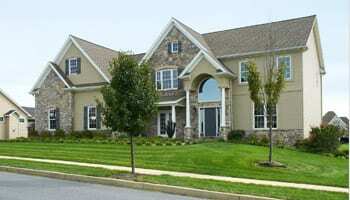 Custom Homes by FoxBuilt, Inc.
We are a Harrisburg-area custom home builder and designer. That means whether you have an existing plan that needs modified, or you need to start with a blank piece of paper, we will help design what is hopefully the perfect plan for you. Whether you are building a smaller or larger home, in a community or on your own lot, our goal is to design a home that meets your lifestyle and budget. While lifestyle and budget are important, our main goal is to create an enjoyable experience for you. Your custom design includes interior floor plans and exterior views of the home. 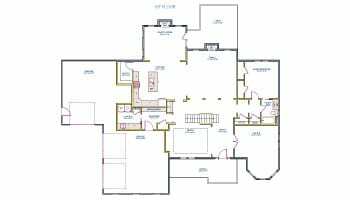 The custom home design process continues during construction as we help you design every detail of your home including interior features and finishes as well as exterior material selection and landscape design. All designs are furnished in house, and a large portion of your home is constructed by the FoxBuilt team. We guide you through the entire process from the time you start working with us. Throughout, we work hand-in-hand with you to deliver you a home that meets your expectations, needs, and dreams. FoxBuilt builds in many local communities, as well as further lots in surrounding areas. Learn more about FoxBuilt’s fun and enjoyable process.